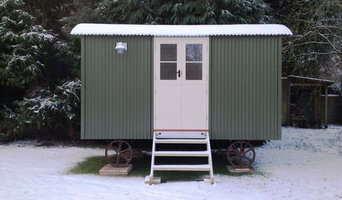 At Downland Shepherd Huts we build bespoke, modern shepherd huts which can be used for a multitude of purposes such as a home or garden office, garden room, treatment room, studio, retreat and guest room. Although inspired by tradition, our contemporary huts are built using durable and robust materials which offer the highest standards of comfort and function. Located in Newbury, Berkshire and close to the Hampshire, Oxfordshire and Wiltshire borders, all our huts are built to order, with materials sourced from local suppliers wherever possible. For example, our doubled glazed, wooden windows and hardwood stable doors are handmade by a joiner in Hampshire to our own unique design. All our huts are available either fully built and delivered or as kits which can be self assembled or built on site by us. Oakley Green Conservatories design and build luxury conservatories and orangeries in the South of England, with showrooms in Bristol, Maidenhead and Newbury. All of Oakley Green's conservatories and orangeries come with a 10 year guarantee which covers all parts and labour should any work need to be carried out. Liberty Garden Buildings have an impressive display site on the Hampshire / Berkshire / Wiltshire border where you can see a range of Malvern home offices, garden rooms, summerhouses, sheds and workshops together with Rotating Pods, Alton cedar and Robinson’s aluminium greenhouses. You can see for yourself the quality of the materials and craftsmanship used in our buildings which are all designed and manufactured in the UK. 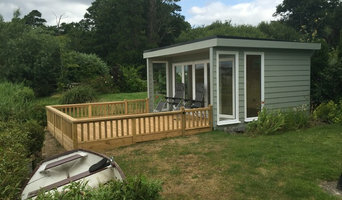 We can provide the perfect garden room to meet our customer’s individual needs, whether you looking for a garden office, home gym, reading room, playroom, art studio, hairdressing salon, luxurious living space, insulated workshop, shed, greenhouse, music room or teenage den. 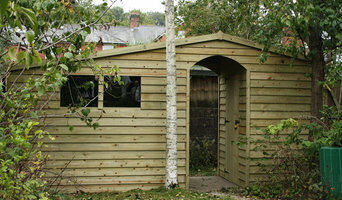 Come and see our designed show buildings for inspiration and ideas within Yew Tree Garden Centre. Liberty Garden Building’s commercial team specialise in solutions for commercial businesses, please see our commercial section for how we can help. Building a conservatory, sunroom or orangery can be quite a substantial project, so it’s a good idea to hire a professional designer or specialist conservatory builders in Itchen Abbas, Hampshire who have a lot of experience with conservatory installation or constructing bespoke glass extensions. Although the advantage is that with a conservatory planning permission isn’t always needed. With Houzz you’ll be able to see examples of pros’ previous conservatory or orangery designs, so you can determine which Itchen Abbas, Hampshire conservatory specialists will be best suited to your project. You can easily find contact details on the professionals’ profile pages and then you’ll be able to receive conservatory costs and quotes for construction or installation. 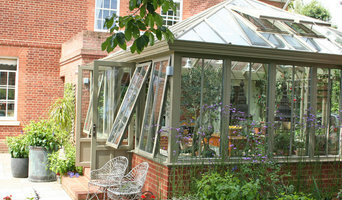 How should I plan my Itchen Abbas, Hampshire conservatory, sunroom or orangery project? You will first want to determine how much outdoor space you have available to build your conservatory and then what you’d like the dimensions to be. Conservatory planning permission is not needed if your extension meets the government’s guidelines on conservatory projects, so it is best to check these before deciding on the size and style of your new conservatory installation – professional conservatory builders in Itchen Abbas, Hampshire will be able to help you with this, too. If your Itchen Abbas, Hampshire house is within a designated area (including national parks and conservation sites) then there are further restrictions which could affect your choice of conservatory materials and styles. Once you have determined the dimensions and have an idea on what conservatory styles and materials will be feasible, then you can begin to find your ideal Itchen Abbas, Hampshire conservatory designer by browsing the designs, photos and reviews on Houzz. You can look through their portfolios, see previous projects, ask questions, find out their average conservatory cost, look at their own website and contact them directly to discuss your sunroom, orangery or conservatory installation. 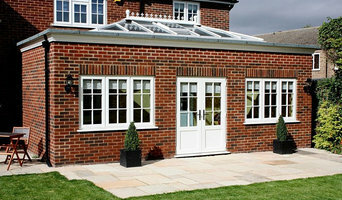 What should I ask a prospective sunroom specialist or conservatory builders in Itchen Abbas, Hampshire? Find a conservatory, sunroom or orangery designer on Houzz. Narrow your search in the Professionals section of the website to Itchen Abbas, Hampshire conservatory, sunroom and orangery designer. You can also look through Itchen Abbas photos to find a conservatory, sunroom or orangery that you like, then contact the designers or conservatory builders in Itchen Abbas, Hampshire who worked on it.